When you work in a call centre or customer service it’s inevitable that you will end up having to manage angry customers on occasions. 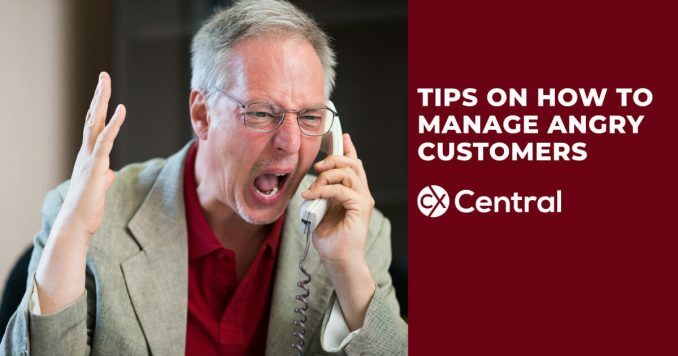 Of course, there are many different types of call centres out there and if you work on a dedicated complaints line, for example, there’s a fair chance you will have to manage angry customers on a more frequent basis than someone working on a sales queue. Regardless, for anyone that’s worked in a call centre already, you’d know that by remaining physically invisible, customers tend to be more ‘comfortable’ in expressing their feelings than in a face-to-face setting so managing angry and frustrated customers is something all call centre agents need to master. While nothing will replace some dedicated training on how to manage angry customers (which we hope you received some in your induction training) I’d like to share the HEAT model along with some great tips from our audience on how they manage angry customers. The good news is the HEAT model works whether it’s over the phone or in a face to face environment. One of the overwhelming pieces of advice is to not take the anger personally. 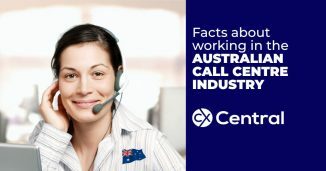 The reality is the customer has called the company because they are angry at a particular situation – and you just happen to be the one working in the call centre who received the call. Once you realise you’ve got an angry customer on the line follow the HEAT model below to diffuse the situation and turn the customer around. We’ve all been there; sometimes a person just needs to vent. So let them talk, and simply listen. This isn’t always easy to do especially if the customer is quite agitated, but in end, the customer is going to feel better. By letting them get it off their chest they’ll be much more open to listening to your solutions. By showing your customer you understand, you can begin to defuse the situation. Using phrases like “That experience sounds incredibly frustrating, I would be really upset too” or “No wonder you called, this is a problem!” or “you have every right to be upset” show that you genuinely understand their frustration and will go a long way to putting the customer at ease. In fact, we’ve got a whole article with some empathy statements you can use. Just using two words – “I’m sorry” is a great start to turn things around. Or, try expanding on it further like, “I’m really sorry for the inconvenience this has caused you” or “I am sorry this has happened to you”. This isn’t an acknowledgement that you personally did anything wrong, but you are representing the company as a whole and they really don’t care which department made the error! Now that you’ve diffused the situation and apologised, the customer will be ready and waiting to hear what the solution is so make sure you have an action plan ready to follow your apology. Be specific and direct like “Here’s what I can do for you now….”. Be sure to cover off how you are going to fix the problem, what the customer can expect next etc. For me, the one thing lacking in the HEAT Model is a timeline – if a resolution can’t be found immediately make sure you are clear when the customer can expect an update or a resolution and make sure you follow through! And it’s not just about how the customer feels. Once you use a customers name, you’re reminded that you are dealing with a real person; a customer who has a job and a life and a legitimate reason behind his or her frustration, rather than just another customer. You can read more on 5 reasons to use someone’s name but as I alluded to earlier, just don’t overdo it or it will sound insincere. Yes, I know what you are probably thinking and I must admit, as a consultant I’ve heard my fair share of corporate buzzwords and concepts and the “smile when you talk to your customers” conversation is one that normally sends me off to sleepy town. Intuitively though it does make sense, when you are happy people can “pick up” that friendliness and warmth in your voice. I’m not sure about you but when I ring my partner I can instantly tell by the way she says hello whether I am in trouble or not! Again science backs this up – a study in 2008 discovered that “human beings can differentiate vocal intonation not only between a smile and a non-smile but among different types of smile”. An older study by Professor Mehrabian found that when communicating over the phone 84% is vocal (how you sound) and 16% is verbal (what you are saying). Some call centres take steps to constantly remind you to smile. Nestle in the USA, for example, placed branded mirrors at each phone reps’ workstation so reps can see if they are smiling when they are talking on the phone. Others just had a reminder on screen savers or stuck on the monitors like “don’t forget to smile”. Regardless of what works for you, experience and science prove that smiling really does make a difference. In life, you already know there are different personality types and you no doubt approach each person differently. You’ll have friends and colleagues that are very direct, some love a chit-chat, some are emotional, some are fact-based – you get the drift. The skill in managing angry customers is identifying what personality type you are dealing with and adjusting your style accordingly. You may have already been taught the value in mirroring the customer – if they speak quickly and directly you match the style, if they use a lot of slang and sound pretty laid back don’t use formal words and generic terms like ‘sir’. Knowing your customer is a similar concept that goes beyond your voice, to identifying their personality type and adjusting your style to accommodate. Some customers will want some TLC and reassurance that things will be OK, some will just want the facts on what you will do to fix the issue etc. We already mentioned in step 1 of the HEAT model that it’s important to let the customer vent. But that doesn’t mean you need to just sit there and cop a complete earful for a few minutes. If you find yourself in this situation just hit the mute button, sit back and let the customer let rip. For me, I’ve always found it a way of mentally disconnecting from the venting allowing me to either mutter a few words to myself or perhaps to a sympathetic colleague nearby “Wow this customer is really going for it”. Sometimes even with all the best intentions in the world, there are still customers who tend to “push all your buttons”. I like to think of it as “Penalty Hold” but sometimes you just need to take a quick mental time out to recompose yourself, check some information etc. I’m not suggesting you do this to punish the customer by placing them on hold for long periods but if you do find yourself getting upset/angry that hold button can be a godsend. Kris Loxley: Just breathe. You don’t know what else has happened to them recently – 99.9% of people are kind and respectful. Acknowledge that you hear what they are saying, apologise and tell then you are here to help them with their problem and take ownership of it. Kerrie Meyer: Difficult customers are the biggest challenge but also the most rewarding when you are able to turn them around. My first bit of advice would be, don’t take their comments personally, people are frustrated with the situation and just don’t know how to direct that frustration appropriately. Let them talk, be sure to note exactly what their frustration is, repeat it back to them and set clear expectations and follow through on your promise. Don’t break their trust again!! Roz Donaldson: They want you to listen to them as their story is very frustrating and they are highly emotional, then ask them questions to understand the key issues and their concerns so that you can deliver on their expectations. When they are highly emotional, it usually relates to their values where we have crossed the line not the initial concern raised, ask them questions and they will tell you. Heather Potts: Instead of phrases like ‘no I didn’t say that’ try ‘sorry I mustn’t have explained that well, that’s not what I meant let me try again – re-explain the point’ – people take “no that’s not what I said/I didn’t say that” as you accusing them of lying, the last thing an angry person wants is to be accused of lying. Mick Kane: To address the customer’s concerns I would always talk to what options we do have and not use stop words like “I can’t do that”. Sandra Bailey: Best thing I do is push away from my desk, step away from the computer, let them vent it out, still acknowledge your listening without trying to jump to the answer straight away. Once they’ve let it out then take action. Sometimes trying to help in the middle of their dispute to you is just fuel to the fire and can make it worse and prolong the problem. Ryan Pelēks: Give the customer a moment to vent (they’re not angry at you personally). Acknowledge their frustration, apologise for what’s happened, and offer them a resolution (even if it’s an escalation to the right area) and try to reassure them that the issue will be resolved. Chris Ferreira: An alternative to the HEAT mode is ACT. Acknowledge the concern, Confirm the concern, Take action. David Mitchell: Acknowledgement, Empathy, and Action. It really doesn’t matter if the Customer is right or not. What matters is that there is a problem (the issue itself as well as their perception of the cause of the issue) and that by addressing that problem head-on, as quickly as we can, then the problem will be solved. Failing to acknowledge their frustration, anger, perception in an authentic, Human to human manner, failing to empathise and make them feel like their frustration (based on their perception) is understandable, and a strong focus on ‘So what do we need to do’ to solve the problem will only result in another problem, the perception that you don’t care and can’t be bothered. Geoff Crane: In my experience, angry callers are mainly frustrated with a lack of progress on their issue. So empathy truly from their perspective, and outlining some tangible steps for a solution that shows you’re not seeking to sidestep the issue can turn them into extremely grateful repeat customers. Joanie Badenhorst-Awasthi: Stay calm and don’t take it personally. It is not your fault, but it is your problem. Live for the compliments and ignore the d$cks! Keszia Tyler: Let em talk, then ask “what would you like me to do to help?” Usually catches them and they realise they’ve been going for a bit. Got any more great tips? Is swearing at work OK? 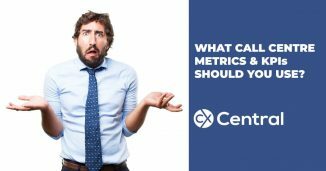 What Call Centre Metrics and KPIs should you use? If you manage a call centre or have responsibility for one, these are the top 10 Call Centre Metrics and KPIs you should you be using. 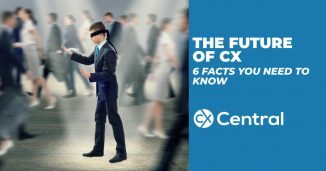 After spending an evening with the world famous Don Peppers talking about the future of CX, there are 6 indisputable facts every CX manager should know.